Brandeis University Press, 9780874515558, 544pp. Jews have long seen the interwar years as a “golden age” for Polish Jewry and hold it in special reverence because of the community’s heroic struggle against the encroaching darkness of antisemitism. During the years 1918 to 1939, Polish Jews constituted the largest Jewish community in noncommunist Europe and were the leading cultural and political force in the Jewish Diaspora. In this volume distinguished American, West European, Israeli, and Polish scholars combine forces to explore the politics, antisemitism, economic and social life, religious patterns, and cultural creativity of a period whose relevance is heightened because of current changes under way in Eastern Europe. JEHUDA REINHARZ is Richard Koret Professor of Modern Jewish History and President of Brandeis University. He is author, editor, or coeditor of numerous books, including Zionism and Religion (1998), Essential Papers on Zionism (1995), Chaim Weizmann: The Making of a Statesman (1993), and Israel in the Middle East (1984). BEN HALPERN (1912 - 90) was Professor Emeritus of Near Eastern and Judaic Studies at Brandeis University. 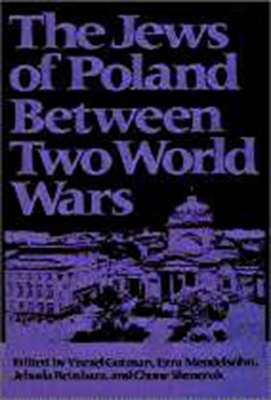 Among his studies of the modern Jewish experience are A Clash of Heroes (1987) and The Idea of the Jewish State (1969).